The Member States agreed that they must continue to collectively innovate and seek meaningful initiatives to increase tourism growth while retaining the heritage, tradition, and identity that makes the region unique for future generations. Member state Brunei, officially the Sultanate of Brunei Darussalam, is also known as the Abode of Peace, which is the Arabic translation for Darussalam. It focused on the 2020 ATF for which the theme will be: ASEAN – together towards a next generation of travel. Minister Apong, the Minister of Primary Resources and Tourism, spoke of the aim of the 2020 event which will reinforce the ASEAN mission and objectives that were set out in 1967. Indonesia spoke of its strategy to reach 20 million tourists in 2019 through digital tourism, millennial tourism, and nomadic tourism. It wants to develop 10 more islands like Bali, by implementing the 3 “A”s – attraction, amenity, and accessibility with cross-border tourism as a focus. Malaysia had a strong presence at the Forum, with leadership being present along with 33 sellers. The Desaru Coast, a new integrated resort and one of Malaysia’s most anticipated new tourism developments got prominent exposure, as did Johar for exciting and enjoyable adventures. The presence of a large gathering at Ha Long Bay was utilized by Cambodia to create greater awareness of the Cambodia Travel Mart (CTM) which is scheduled to be held in Phnom Penh from October 10 to 13, 2019. The CTM will also be the mechanism used to strengthen a tourism cooperation and to push for a tourism promotion within ASEAN and in the region, said Minister of Tourism Thong Khon, inviting delegates to attend the 3rd CTM event. As the host nation, Vietnam received much attention, and the country went all out to make the event memorable and to tell the world that tourism is very important to them. The country welcomed 15.5 million travelers, a 20 percent increase in arrivals in 2018. 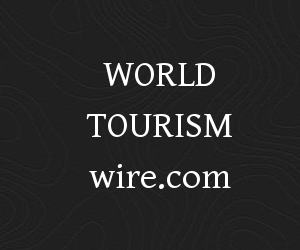 Nearly 5 million visitors came from China, a 23.9 percent increase; 3.5 million from Korea, a 30.4 percent increase; 827,000 from Japan, a 3.6 percent increase; and 606,000 from Russia, a 5.7 percent increase, with Germany, France and the UK also showing significant boosts in arrivals. The International Travel Expo, Ho Chi Minh City (ITE HCMC) 2019, Mekong’s largest travel event, scheduled to be held from September 5 to 7, 2019, was also being marketed at ATF.